As part of my work, I often use testing to investigate the root causes of clients’ symptoms. Many people are surprised at the wide range of tests that nutritional therapists have access to, and are interested in how testing could benefit them, so in this article I explain why testing might be useful, some of the tests that are available, and why testing isn’t always necessary. Conventional medicine often deals primarily with symptoms. For example, if your thyroid is not producing enough thyroid hormones (it is underactive), you might be prescribed some synthetic thyroid hormone as a replacement for what you are not producing yourself, but it is very unlikely that your GP will discuss with you the reasons WHY your thyroid is underactive. Nutritional therapy is different. Like a health detective, I work with clients to uncover the root causes of their ill health. For example, taking again the example of an underactive thyroid, I might look for things that have triggered the immune system to attack the thyroid and which continue to drive the attack. This is a very personalised approach, and means that when you come for an initial nutritional therapy consultation, it is absolutely vital that I take a really good case history. So many things can give me useful information: the temperature of your skin when we shake hands, an account of food poisoning you got on holiday once, how your energy fluctuates throughout the day, a description of your monthly cycle, what your tongue and nails look like, how you feel after eating various foods. There is so much to find out; that’s why an initial consultation with me takes 90 minutes! I try to put all this information together to work out what may be causing imbalance in your body. It’s one of the things I love the most about my job. Whilst there is nothing more important than a good case history, testing can provide valuable additional information. There is a saying in functional medicine: “Test, don’t guess”, and sometimes testing can help differentiate between several possible causes of the same symptoms. Some testing is of course done on the NHS, via a GP or a specialist, and this can provide valuable information. However, as a nutritional therapist I have access to several laboratories which offer a wide range of private tests. I’ll discuss some of the most common of these in this article. But first, let’s talk about blood tests and their uses. Clients often bring me copies of their NHS blood test results (by the way, ALWAYS ask for a copy of your blood test results, don’t just accept that they are “normal”!) and these can often be revealing. For instance, a client recently came to me complaining of extreme fatigue and musculoskeletal pain. She had recently been told by her GP that she had high cholesterol. I reviewed her blood test results and saw that whilst her thyroid function fell into what the NHS deems to be a normal range, it was in fact not optimal at all. This could easily have been causing her fatigue and high cholesterol, and contributing to her pain. (Did you known that an underactive thyroid can result in high cholesterol? In the days before statin therapy, high cholesterol used to be treated by prescribing thyroid hormone(1)) As well as giving her advice for supporting the health of her thyroid and the body systems affected by it, I recommended that she did a more comprehensive thyroid blood test to provide more detail on hormone levels. 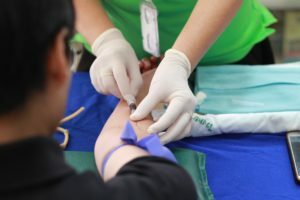 That was an example of how NHS blood tests can provide a starting point for indicating an imbalance, which can therefore be investigated further with private blood testing. Fatigue could have been caused by low levels of iron, vitamin D, vitamin B12 or other nutrients, by adrenal imbalances or even by poor blood sugar control. High cholesterol could also have been caused by high blood sugar, or by a poor diet. The blood test results helped to differentiate between these and indicated that the thyroid was the most out of balance. Blood tests can be useful to determine blood sugar imbalances, lipid profiles (cholesterol, triglycerides etc), liver enzymes and levels of nutrients amongst other things. Many of these tests compare the levels of a particular compound in the blood (for example vitamin B12) to a standard reference range. This can be helpful, but it does not necessarily tell us whether that compound can get from the bloodstream into the body’s cells and whether there is enough of it to do what that individual person needs it to do. For this, we need something called a “functional test”. A functional test is, as its name suggests, a test to determine how well the body is functioning. In the case of vitamin B12, measuring the level of B12 in the serum does not tell us whether there is enough B12 to carry out its many roles in the body. However, there is a compound called methylmalonic acid which can be measured in the urine which can tell us whether there is sufficient B12 in the body. B12 is needed to convert methylmalonic acid into another compound used for metabolism (succinyl coenzyme A). If there is not enough B12 available to do this job, levels of methylmalonic acid will rise and elevated levels can be measured in the urine(2). 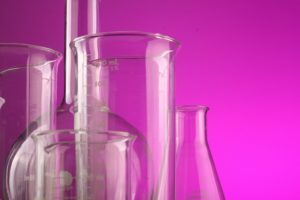 One of the biggest and most informative functional tests available is called an organic acids test. An organic acids test is a urine test, and it measures the levels of many metabolites in the urine. Using the same principles as described above for methylmalonic acid, these can indicate whether someone is deficient in key nutrients, such as B vitamins, minerals, antioxidants and amino acids, as well as indicating whether he or she would benefit from support with digestion or detoxification and whether a yeast infection is present. Urine tests can also be the most appropriate way of looking at female hormone levels to try to understand what factors could be behind an imbalance. I sometimes also saliva, breath and stool tests. I most commonly use saliva to test the levels of adrenal hormones such as cortisol throughout the day. These should follow a circadian rhythm, and if they are disrupted it can lead to symptoms such as finding it difficult to wake up in the morning but being wide awake when it is time to go to sleep! If a client presents with a history of a lot of chronic stress in their life, together with fatigue or sleeping difficulties, then a salivary cortisol test might be useful to determine just how out of balance the adrenal glands are. Without saliva testing, we cannot be certain that fatigue is not due to some other reason, such as a nutrient deficiency. Breath testing can be used to test for a condition called Small Intestinal Bacterial Overgrowth, or SIBO. The large intestine, as we know, is teeming with microbes, but in a healthy person there should be relatively low numbers of bacteria in the small intestine. For various reasons bacteria can sometimes overgrow in the small intestine and this can cause digestive discomfort, bloating, gas and diarrhoea or constipation. In fact, it is thought that up to 80% of cases of irritable bowel syndrome can be attributed to SIBO(3). The presence of a bacterial overgrowth can be determined by drinking a special sugar solution and then breathing into a collection device every 20 minutes for 3 hours. The sugar solution is rapidly consumed by any bacteria in the small intestine, and these release hydrogen or methane gas as a by-product of their metabolism. The gases diffuse into the bloodstream and when they reach the lungs, they are breathed out. High levels of either methane or hydrogen gas in the breath thus indicates the presence of bacteria in the small intestine. And finally, stool testing. This is probably the test that I order the most often, as the health of the gut is fundamental in contributing to so many other health conditions, from autoimmunity to skin health. There are various options for stool testing, but most measure the levels of beneficial bacteria in the stool as well as various pathogenic bacteria and parasites and opportunistic microbes (those which are normal residents of the colon but which become a problem when they are able to overgrow). Many stool tests also provide information on digestive function (eg whether you are producing enough digestive enzymes) and immunity in the gut. I have found stool tests to be invaluable at identifying imbalances in the gut flora (this is called dysbiosis) which are limiting healing. For example, I may have worked with a client at generally improving their diet, removing potential food sensitivities and so on, but there may come a time when progress stops and we become “stuck”. In these cases, stool testing can often provide the insight needed into what may be the underlying cause of ill health. Stool testing can also be an incredibly interesting insight in its own right. When you think about it, it’s not at all unusual to be just a bit curious about the mix of microbes in your gut, given how much they impact health. I have recently done a stool test myself, and it has been very enlightening to find out that, even after 5 years of eating like a nutritional therapist (! ), my gut flora has not really recovered from the likely effects of a Caesarean birth, being bottle-fed as a baby, and taking masses of antibiotics in early life. My own results are prompting me to have a renewed focus on my own gut health. I wanted to write this post to explain just a small number of the many tests that are available today. However, it is important to end by saying that testing is not always appropriate, nor is it always necessary, at least not straight away. Functional tests can be very costly, and I always ask myself whether the potential benefit the client would gain from it would justify the cost. Sometimes clients have already been through a whole battery of medical tests before they come to see me, and the last thing they want is any more testing. Other clients love to monitor their health however they can and love to test! I also ask myself whether test results would change my recommendations to a client; it is often possible to work on a hypothesis using simple diet and lifestyle changes without the need for expensive testing. Each case is unique and has to be considered on its own merits. So functional testing can be enlightening and very informative, but they are only one out of many other tools that a nutritional therapy health detective has up his or her sleeve! Duntas, L.H. and Brenta. G. (2018). ‘A Renewed Focus on the Association Between Thyroid Hormones and Lipid Metabolism’, Frontiers in Endocrinology, v9, 511. NCBI [Online]. Available at https://www.ncbi.nlm.nih.gov/pmc/articles/PMC6129606/ (Accessed 27 September 2018). Sun, A., Ni, Y., Li, X. et al. (2014). ‘Urinary Methylmalonic Acid as an Indicator of Early Vitamin B12 Deficiency and Its Role in Polyneuropathy in Type 2 Diabetes’, Journal of Diabetes Research, 2014; 921616. NCBI [Online]. Available at https://www.ncbi.nlm.nih.gov/pmc/articles/PMC3955587/ (Accessed 27 September 2018). Yamini, D. and Pimentel, M. (2010). ‘Irritable bowel syndrome and small intestinal bacterial overgrowth’, Journal of Clinical Gastroenterology, 44(10), pp672-675. Wolters Kluwer [Online]. Available at https://journals.lww.com/jcge/Abstract/2010/11000/Irritable_Bowel_Syndrome_and_Small_Intestinal.9.aspx (Accessed 27 September 2018).